Each year, Aerius organizes a study trip. This year, Hong Kong is next, after successful (European) trips to Brussels, Berlin and London and intercontinental destinations like Florida and Dubai. In Hong Kong we are going to visit distinctive companies and institutions with relation to the aircraft and logistics industry. To make this study trip possible we will do research for several aviation related companies and government institutions. This article is written to inform and hopefully interest parties that might have an assignment for us. We hope you know (or better yet: are) somebody to whom Aerius can provide some knowledge. The members who will join this summer’s trip will be selected with the research assignments in mind, for example: when judicial knowledge is needed, the participation of a law student will get priority. As soon as a good match is found – this may also be a multi-disciplinary group – the students begin their desk research, so that they can efficiently fill in the serious part of their stay abroad. When you become aware of certain research assignments we could complete in connection with our visit to Hong Kong, or have some suggestions on where possible assignments can be obtained, we will be delighted to hear from you. China is situated in eastern Asia, bounded by the Pacific in the east. The third largest country in the world, next to Canada and Russia, it has an area of 9.6 million square kilometres, or one-fifteenth of the world’s land mass. The border stretches over 22,000 kilometres on land and the coastline extends well over 18,000 kilometres, washed by the waters of the Bohai, the Huanghai, the East China and the South China seas. The Bohai Sea is the inland sea of China. There are 6,536 islands larger than 500 square metres, the largest is Taiwan, with a total area of about 36,000 square kilometres, and the second, Hainan. The South China Sea Islands are the southernmost island group of China. China lies mainly in the northern temperate zone under the influence of monsoon. Mountains and hilly land take up 65 percent of the total area. There are five main mountain ranges. Seven mountain peaks are higher than 8,000 meters above sea level. The Bohai Sea, East China Sea, Yellow Sea and South China Sea embrace the east and southeast coast. The national language is Putonghua (the common speech) or Mandarin, which is one of the five working languages at the United Nations. Most of the 55 minority nationalities have their own languages. China is a multi-religious country. Spread all over the country, we find Buddhism, Taoism, Islam, Catholicism and Protestantism. Chinese Money is called Renminbi (RMB). The popular unit of RMB is Yuan. The official exchange rate between U.S. Dollar and Renminbi Yuan is about 1 : 8.3 (1.00 Dollar = 8.30 Yuan). In Hong Kong they call the money Hong Kong dollar’s. The time in Hong Kong is 8 hours ahead of GMT. Hong Kong’s economic life began to slow after the United Nations’ embargo on trade with China in the 1950s. The territory was forced to develop internal industries taking advantage of local and regional resources in order to continue to grow. And Hong Kong’s success in this field was due to a number of factors, namely cheap labour, capital input and the government’s tax policies. The constant influx from China of capital and manpower led to the establishment of light manufacturing throughout the territory by the 1950s and 1960s. At the same time, Hong Kong’s tax policies began to attract growing foreign investment further adding to the territories rapid growth. In the 1950s Hong Kong began in earnest a new career as a manufacturing and industrial centre. Textiles, electronics, watches, and many other low-priced goods stamped “Made in Hong Kong” flowed from the territory in ever-increasing amounts. Associated with events in China, the territory was thrown into turmoil in 1967. The flow of refugees from China continued unabated throughout the late sixties and into the seventies adding to the human resources, as a work force, in Hong Kong. During the 1980s Hong Kong started to work with China on a series of joint projects that brought the two closer together. China has always maintained that the three treaties which brought Hong Kong into existence were signed under pressure, and thus unjust. In 1984, the Joint Declaration signed by Britain and China agreed that the sovereignty of Hong Kong would revert back to China in 1997. Hong Kong became, from July 1, 1997, a Special Administrative Region (SAR) of the People’s Republic of China. The Joint Declaration also provides that for 50 years after 1997, Hong Kong’s lifestyle will remain unchanged. The territory will enjoy a high degree of autonomy, except in foreign and defence affairs, and China’s socialist system and policies will not be practised in the SAR. The new Hong Kong International Airport at Chek Lap Kok was officially opened on 2 July 1998 by president Jiang Zemin, but was opened for business on July 6. It replaced the existing international airport at Kai Tak, one of the world’s busiest international airports for both passengers and cargo. Hong Kong International Airport covering 1,248 hectares is almost four times the size of the old airport. The new airport opened with a single runway and facilities able to meet the demand of 35 million passengers and 3 million tonnes of air cargo annually. The second runway was opened by the end of 1998. It is to be expected, to handle ultimately 87 million passengers and 9 million tonnes of cargo a year. The new airport is able to operate round-the-clock without the night-time flight restrictions imposed at the old airport at Kai Tak. Enclosed you will find a fully detailed list with information about the two airports. The Airport Authority was established in 1990 by the Hong Kong Government as a provisional body to plan, design and build the airport. The Authority was responsible for the construction of the airport islands, its runways and airfield, the passenger and terminal complex and all on-island infrastructure. The Hong Kong Special Administrative Region Government is responsible for air traffic control, police, fire services and other institutional facilities such as the airmail centre. The Airport Core Programme (ACP) includes ten infrastructure projects. These developments include 34 kilometres of expressways and tunnels; a high-speed rail link that connects the airport with Hong Kong major population centres; the world’s longest road-rail suspension bridge; a third cross-harbour tunnel linking Hong Kong to Kowloon, and an new town development. The ACP brings a lot of benefits for the community. The new international airport is located away from the urban area. That means, the airport is not a nuisance to the Hong Kong population. A road/rail network gives the possibility to access the airport in a short time. Due to the ACP, there is more employment, which does good to the economy. For the first time, Lantau Island is linked to the rest of Hong Kong by road. There are many more projects, which will make a better infrastructure. Preliminary figures showed that real GDP declined by 7.1% in the third quarter of 1998, with private consumption contracted by 10% and gross fixed capital formation by 9.1%. The seasonally adjusted unemployment rate rose to 5.5% in Sep-Nov 1998. Inflation measured by CPI(A) declined by 0.9% in November 1998. The prime interest rate was further reduced to 9% on 21 December 1998. The number of tourist arrivals grew by 5.1% in November 1998. According to the United Nations’ World Investment Report, Hong Kong ranked as the fourth largest source of outward foreign direct investment in the world in 1997. Apart from the Chinese Mainland, other Southeast Asia developing countries are receiving an increasing amount of capital from Hong Kong. In terms of cumulative amount on approval basis, Hong Kong is the largest investor in the Chinese Mainland, and is among the leading investors in Indonesia, Taiwan, Thailand, Vietnam and the Philippines. Hong Kong has long been the Chinese Mainland’s window to the world. It is a strategic gateway to foreign business contacts, modern technology and investment. Over 800 sailings, 100 flights, 35 trains and 26,000 vehicles move across the Hong Kong-Mainland border everyday. Hong Kong is also the most important entreport for the Chinese Mainland as about half of the mainland’s exports are handled by Hong Kong. Out of Hong Kong’s total re-exports were either originated from or destined for the Chinese Mainland. According to China’s Customs statistics, Hong Kong ranked the third largest trading partner of the Chinese Mainland, accounted for 15% of the country’s total trade in the first nine months of 1998. Hong Kong has been used by multinational companies as a regional base to manage their businesses in the Asia Pacific, particularly in the Chinese Mainland. Based on a government survey covering 11,819 overseas companies known to be operating in Hong Kong in 1997, of the 4,275 responses, 924 companies identified themselves as regional headquarters and another 1,606 identified themselves as regional offices. Japan has the largest number of regional headquarters and offices in Hong Kong with 499 companies, followed by the US (481), the Chinese Mainland (245) and the UK (216). Hong Kong remains a favourable business centre for overseas investors despite its short term economic weakness. Hong Kong is the premier gateway for trade and investment moving into and out of the Chinese mainland. The SAR is also increasingly a source of expertise and funding for China’s efforts to modernise its economy. Hong Kong continues to handle about half of all exports to the mainland, and accounts for about half of foreign direct investment in China. The world’s most liberal economy. The world’s most service-oriented economy. The world’s 2nd most competitive economy. Asia’s highest concentration of fund managers. The world’s first major city to have fully digitised telephone network. The world’s busiest container port. The world’s busiest airport in terms of international cargoes. The world’s 3rd busiest airport in terms of international passengers. 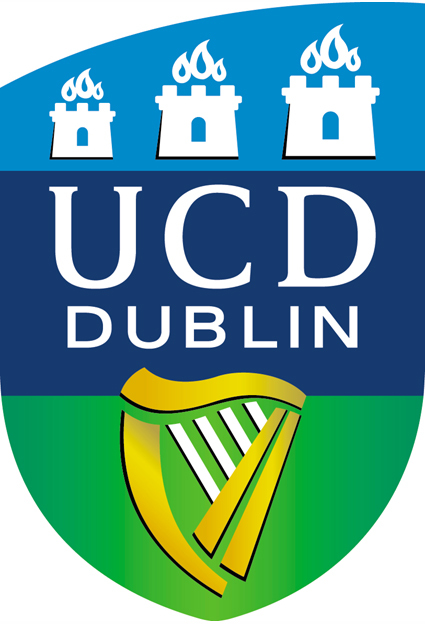 JULY 19 – 21 UNIVERSITY COLLEGE OF DUBLIN, IRELAND. Although it was the second time only, that the ATRG-Meeting was organized, already it attracted 106 participants from 17 countries. The membership of the group, founded by Professor Tae Oum from University of British Columbia, now consists of 350 aviation researchers, policy-makers and executives from 28 countries. The theme was AIR TRANSPORT IN THE NEW MILLENNIUM : OPPORTUNITIES IN COMPETITIVE MARKETS. A coherent, high quality series of interesting papers focussing on highly relevant issues such as European air transport policy,Networks and Al-liances, Economics and Pricing, Airline financing and performance, Airport management, Airline competitiveness, Deregulation, Air freight and Logistics, etc. There was remarkably little attention for the environmental aspects of aviation, exception made for the one paper on the the TGV-effect by Judith Patterson. I want to highlight the one discussion session on Tuesday morning about Irish air transport policy. First of all, the topic of Irish air transport policy proved to be a very interesting one, as the speakers, all key players in this area, managed to put the problems in a historical perspective. Participants in the discussion Mr. John Lumsden, Head of Air Transport in the Irish Dept of Public Enterprise, Mr John Burke, CEO of Air Rianta, managing body of the Irish Airports, Mr Gary Cullen, chief operating officer at Aer Lingus and Mr. Colm McCarthy, independent consultant. Under the witty guidance of Dr. Garret Fitzgerald, former Prime Minister of the Irish Republic, the debate took off in various directions, only to reveal the cornerstone of Irish aviation policy: the SHANNON stop! As mr Lumsden had to explain repeatedly, to his own dismay your observer had to assume, the even distribution of welfare and wealth in the Republic required that, as in the early days of transatlantic crossing, airlines coming to Dublin, had to make a stop at Shannon airport. This requirement must have helped to turn away a number of companies from Dublin air-port, to the advantage of Aer Lingus network operation. Nevertheless, Continental now, as a first interna-tional airline was announced to have complied with the Shannon stop requirement. Dr Fitz-gerald asked himself, what London Airports would have been like, if all airlines would have been required to come to Liverpool simultaneously. This Irish anti-hubbing verdict did not amuse Mr. McCarthy at all: nonetheless he predicted that airport access would be the bottleneck of Dublin Airport development. On the dreary Sunday morning that I tried to leave Dublin through its airport, he only proved to be deadly right. I waited for the first bus to come at 6.30 in fresh showers right behind the Busaras Central Station, that has no busser-vice to the airport at that time of the day. So I took the city double decker for 90 pence. It came, though 15 minutes late; I was soaked. Coming closer to the airport, I saw what Mr McCar-thy must have meant: a firm traf-fic jam blocked the road to the terminal on a Sunday morning! No train, no Air-portbus, so everybody was on its own! On my late arrival in the terminal, I found out that I had still 20 minutes to check in, that there were 3 counters available for “Europe”. The hall was filled with desperate travellers. I still do not know how I managed to get into the plane in time. It must have been a fortunately late departure! The next ATRG-Meeting will be held in Hongkong, HKSAR, China June 6th to 9th in 1999. One thing you can be sure of : the programme will be just as good as it was when Dr Aisling organi-zed it in Dublin, or better. Airport access will be unprecedentedly better ! Chek Lap Kok , Hongkong’s new international Airport is waiting for you to offer the best to the air trans-port research community: highly recommended ! This paper was presented at the World Conference on Transport Research, July 1998, by the Civil Aviation Department, The Netherlands. Although KLM’s strategy has always focused on a bigger market share as a partner in one of the few remaining global networks, the resulting growth of this strategy has surprised policymakers, especially from the point of view of environmental protection. In 1995 it was agreed that the development of Schiphol would be subject to environmental constraints. An important element in these constraints are the noise contours. According to these constraints a maximum of 15.000 houses within these contours are allowed to be affected by a certain noise level until 2003. After 2003, when the fifth runway is expected to be operational, this contour must shrink even to 10.000 houses. The fast growth how-ever has led to a situation, that within these noise limits, after 1997 only a limited traffic growth is possible. Certainly if traffic demand is continuing to increase fast, drastic measures are needed to obey the noise limit. Measures are already in operation, but their effect is apparently not sufficient enough. Chapter 2- aircraft have already disappeared al/most completely, although this was only supposed to be effective by as long as 2002. The airport has discouraged night operations by differenti-ating landing fees in certain periods of the day. And finally the air transport policy is – when granting access to Schiphol – taking into consideration also the noise performance of the aircraft that is going to be used, when using Schiphol. Nevertheless, some of the measures only become effective after a certain period, and their effectivity is still limited for the short term. During the second half of 1997 it became clear that – despite of the measures that have already been taken – the noise limit would be violated. It has led to a situation that from April 1st, 1998 Schiphol is fully slot-coordinated. Moreover it was agreed that from 1998 onwards, 20.000 extra slots will be granted annually, enabling a further growth from 360.000 movements in 1997 to 460.000 movements in 2002. Comparing this to the actual market demand, which – for 1998 – which had been estimated already at a level of 420.000 movements, this slot-coordination means a severe restriction. It also implies economic damage not only for the airlines, but possibly also for the surrounding regions. The economic damage will certainly emerge when restrictions continue over the longer term. This situation at Schiphol is however quite unique. Not by the im-plementation of the slot co-ordination, which is existing already at several European airports. But the fact that the co-ordination has been imple-mented because of environmental reasons, and not because of an operational capacity con-straint, like runway capacity. Estimations of long term runway capacity at Schiphol may for instance – depending on the assumptions of peak patterns – increase to a level as high as 600.000 movements, indicating that the operational limits of the airport has not yet been reached. These considerations have brought up the question, how to implement a mixture of policies, to minimize the economic damage of restricted traffic volumes, within the limits that have been set. The existing slot co-ordination has a strong regulatory orientation. The co-ordination committee is using strict operational rules, and grandfather rights are an important element in using these rules. This may however not necessarily be efficient. It does not guarantee that the best economic performers are given access to Schiphol. It may even lead to a situation that the environmental improvement of the measures is low, but the economic damage is considerable. And even more important: In-centives to improve environmental performance are not inserted into the system. When these incentives are available, a situation may be created by policymakers, that environmental (noise) costs are internalized in the system, stimulating airlines to use the most noise friendly aircraft at the most noise friendly times of the day. It may even mean that the effect of these incentives would be a growth in 2002 beyond the limit of 460.000 movements, within the noise limits. A mixture of measures leading to this, would be considered as efficient, as it limits economic damage, but has a considerable environmental performance. To trace the differences between the resulting alternatives an Integrated Model System has been developed by the Netherlands Civil Aviation Department (RLD). The two economic scenarios used in this model are based on two macro-economic mid term scenarios of the Dutch Central Planning Bu-reau (CPB). These scenarios describe the economic developments of the Dutch as well as the world economy until the end of the year 2002. For both economic scenarios aviation industry scenarios are developed in case of unrestricted capacity on Schiphol airport. The full development of the KLM five waves system at Schiphol Airport fits in these scenarios. A continuation of the aeropolitical selectivity policy of the Dutch government is another assumption made in the aviation scenarios. This implicates that even in the unrestricted scenarios of the model an un-bridled growth of aviation is excluded from the results. traffic and transport on Schiphol; that is both the passengers- and freight volumes and the number of aircraft movements. environmental effects in the vicinity of Schiphol Airport; that is both the number of hindered houses and the surface of the so-called 35 Ke noise con-tour. the economic effects of increasing traffic volumes for the vicinity of Schiphol airport; that is the contribution to the local employment and the added value. Later on monetary preferences of ‘noise consumers’ in the various noise zones around the airport will be included to study possible trade-off effects between positive economic effects and negative external effects in the different areas around the airport. The corresponding traffic volumes for Schiphol are displayed in next table. These figures are generated by the Schiphol Competition Model, which will be discussed in more detail below. It is clear that the favourable scenario may have far going implications for Schiphol. Not only with respect to the necessary airport extension like terminals, and the new runway, but particularly with respect to the noise contours that may – very likely – be exceeded in this scenario without additional measures. The necessity of these measures is probably much less in the cautious scenario. It may even mean – depending on the noise emissions – that no additional measures have to be taken as the volumes of 450.000 movements are just within the limits set by the slot-coordination. Starting with 1996 volumes at Schiphol, the growth in passenger demand is forecasted by this model based on economic growth by world region, on trade, and on airfare levels. The demand elasticities vary by region, and between business, independent leisure, and inclusive tour travel. Passenger demand GDP elasticities vary between +0.6 (European destinations) and +2.0 (intercontinental destina-tions, southern hemisphere). These elasticities are assumed to decrease in time. Fare elasticities are -1.0 (leisure passen-gers) and, in addition, there is – ceteris paribus – an underlying annual traffic growth of up to 1% per annum. This conventional approach is enhanced and extended to re-flect on Schiphol’s throughput the effects of competition from other airports. This will primarily affect transfer traffic, a particularly important segment at Schiphol where the O-D traffic is generated from a rather limited domestic market. A hierarchical logit model, calibrated on existing information for passengers’ air route choices, is used to forecast how passengers choose between alternative air routes via competing airport hubs. Unlike many air traffic forecasting systems, which assume unlimited airport capacity, the Schiphol Competition model is able to simulate and forecast the traffic volume consequences of a constrained capacity situation, arising from potential policy measures. This enables the model user to assess the impacts of these policies, compared to unconstrained forecasts. This provides a basis to both evaluate the impacts and the robustness of alternative government policies. quotas, or slot control, limit the number of aircraft movements and can be applied to particular traffic categories, for example a ban on night traffic; quotas can also be imposed on total passenger or cargo volumes, although the mechanism to achieve these political targets is less clear in practice; levies or landing surcharges may be applied uniformly or on specific aircraft types or groups of aircraft movements; passenger surcharges may be applied uniformly or on specific passenger market segments, although dis-crimination has to be avoided. One of the policy instruments that directly affect passenger demand are the departing passenger taxes and passenger demand quota. The passenger tax is added to the airlines’ fare and suppresses demand through the price elasticity. Where passenger demand is constrained to a policy target (a quotum), the model calculates a ‘shadow tax’ as the cost that would be required to constrain demand to meet the policy target. The underlying principle is that, when constraints are effective, the airlines intend to serve the highest yield passenger segments, and these are likely to be those with low price sensitivity and those with relatively limited choice for alternative routes for the journey. The shadow tax gradually reduces the most price sensitive passenger segments (leisure passengers and those with alternative routes like transfer passengers, or those having access to high-speed rail services) and thereby reflects the envisaged airline response. The Schiphol Competition Model as described above is one of the modules in the Integrated Model System available at the Dutch Civil Aviation department. Also a noise contour module is connected to the level of aircraft movements. This enables the policy makers to analyse environmental consequences as far as the number of affected houses in various noise zones is concerned. Another module is the employment and value added module, which derives figures for these variables based on the forecasted traffic and transport volumes at Schiphol Airport. Finally an additional module will be added to translate the physical units of affected houses by noise into monetary values assuming welfare decreases from this noise emissions. 1) Only then a trade-off will be possible between positive effects and negative external effects. The results from table 4.1 emphasize that in an unrestricted growth situation the number of passengers in 2002 will vary between the 40 and 50 million depending on the scenario used. Freight volumes and aircraft movements respectively vary between 1.5 and 1.8 million tons cargo and 450 and 535 thousand movements. Furthermore, the environmental effects reveal that in a favourable unrestricted scenario the maximum of 15000 hindered houses within the 35 Ke zone is exceeded by over 8000, namely 23300 hindered houses. While in the cautious unrestricted scenario the maximum is almost reached already. One of the reasons why the relative noise impact in the favourable scenario is considerably higher then in the cautious scenario, is the use of extra landing or take-off runways in peak hours. The approach and taking off routes of these extra runways are situated over densely populated areas. In off-peak periods these runways are avoided as much as possible, of course depending on weather conditions. In the unrestricted scenario policy measures are inevitable to bring down the noise emission levels. Therefore the next starting point of analysis is some kind of restriction in case of the favourable scenario. A few measures have however already been taken, and we will first evaluate their effects if these would be continued to be implemented until 2003. In the Physical Planning Document (PKB) for Schiphol the traffic growth has been restricted up to a maximum of 44 million passengers and 3.3 million tonne freight per year. In addition to these restrictions, recently the government has decided that Schiphol is not allowed to accommodate more than 460,000 aircraft movements in the year 2002. Therefter a new runway is planned to be available which provides new opportunities for further traffic growth. This implicates that Schiphol now is a slot-coordinated air-port. In principle two slot-allocation mechanisms deserve consideration. First of all, the present allocation system based on grandfather rights. This system does not automatically lead to an optimal economic allocation of slots, because a system based on grandfather rights does not take into account any value added. An alternative is a slot-allocation system where slots are free to allocate and (maybe even) tradable. Although this system is not (yet) approved by EU law it would lead to an optimal economic allocation of scarce capacity. The reason for this is that tradable (scarce) slots will push upward the price. Therefore slots will only be allocated to those parties in the market willing and able to pay the higher fares that are inevitably the result from this slot-trading. Table 4.2 demonstrates that in comparison to the favourable unrestricted scenario, a restriction of 460,000 market allocation system results in a reduction of 3.1 million passengers (e.g. respectively 48.3 and 45.2 pax) and a substantial loss of cargo. However, it should be taken in consideration that the uncertainties concerning price elasticities of freight are large. Although price sensitivity relations are well known for passengers, detailed information is almost completely missing for freight. Nevertheless, it is expected that the price sensitivity of freight is larger than that of passengers. Therefore the model assumes that in case of a market allocation system freight will relatively be hit stronger by the price increase for available scarce slots. In comparison to the favourable unrestricted scenario the environmental effects of this ‘restricted’ analysis are positive, since the number of hindered houses within the 35 Ke zone is 8 to 11 thousand less and within the PKB constraints of a maximum of 15000 hindered houses. In this analysis the number of hindered houses varies between 12000 and 15000 houses. The extent to which it will be closer to 12000 or 15000 is dependent on the reaction of the full freighters on the price increase. The third effect is the economic effect. The direct and indirect employment will decrease, varying from a loss of 8000 to 11000 full time equivalents. This is also caused by the substantial reduction in freight volume, but similarly depends on the behaviour of the full freighters and whether they will avoid Schiphol or not. Furthermore the (shadow-) costs of mobility turns out to be 1,15 billion higher then in a unrestricted situation. The major part of this increase is on account of passenger transport since freight transport can be and is outplaced at relatively low costs. The increase in costs for the passengers still travelling via Schiphol is 24 guilders per passenger, while the increase for forwarders is 88 guilders per tonne. So, while the slot restriction based on market principles is effective in terms of environmental effects (<15000 hindered houses) it is not efficient in terms of economic effects, considering the substantial increase in social costs and the considerable loss in terms of employment and added value. A more regulated slot restriction will not hit the freight segment as hard as indicated above, because this category also has the disposal of grand-father rights. In this analysis the passenger segment is affected to a larger extent than the freight segment. As can be seen in table 4.2, five to seven million passengers will no longer travel via Schiphol. The consequence is an immediate increase in mobility (shadow) costs, which will be much higher than the mobility (shadow) costs in the alternative slot allocation mechanism. However it is difficult to judge which segment will be affected the most, because there is no clear insight in the allocation of grandfather rights in the year 2002 2) and the model is not capable of simulating this. That is why the amount of mobility costs is very uncertain. Nevertheless it can be expected that the mobility costs are larger than 1.15 billion guilders. In environmental respect this regulated allocation system is more ineffective than the market system, because in the former case full freighters are accommodated. These transporters usually fly older aircraft and operate at night-time, late in the evening or early in the morn-ing. In economic respect the results are even worse compared with the market allocation mechanism, because fewer passengers are accommodated on Schiphol and the costs associated with avoiding Schiphol is much higher for the passenger segment than for the freight segment. As to the employment effects the difference between the two allocation systems is less clear and is probably mainly depending on the reaction of the freight segment when everything is left to the market. Table 4.2 also clarifies that a restriction of 44 million passengers (PKB Schiphol) is not only more inefficient than each of the two slot allocation systems, but is also worse for the environment (when noise is considered). The social costs are increasing by 2.6 billion guilders and the number of hindered houses is well above the maximum of 15000, namely 20 to 22 thousand hindered houses. This is caused by the fact that the number of aircraft movements is more than 490.000 and full freighters are accommodated on Schiphol. Because of a more stringent policy the growth potential in recent years has not been fully exploited intentionally. Although the extra growth-potential spinning of the alliance between KLM and Alitalia has been taken into account in the model not all extra growth-potential of (future) alliances are included (e.g. the effects of the alliance between Continental and Northwest or maybe an alliance with an East-European carrier). The above measures have the intention to reduce traffic volume to certain levels, either by regulatory or market mechanism. Nevertheless the relation with the noise level is an indirect one. In taking these measures it is aimed that also noise levels are reduced in line with this, although the extent to which noise is reduced varies considerably. Other measures, more directly related to noise emissions, may therefore be considered. In this analysis the efficiency and effectiveness of three types of measures are worked out. price control measures; The aim of these type of measures is to give an incentive to airlines to use the environmental capacity more efficiently via the price mechanism. That is, to encourage air carriers to use the most quiet aircraft, preferably not in the night or early morning and late evening period. measures concerning flight scheduling; The aim of these kind of measures is to spread the flight pattern of carriers in such a way that the use of extra runways in peak times is less necessary. technical operational measures; The aim of these kind of measures is to optimize the use of airspace- and runway capacity. In this way the number of aircraft movements within the 15.000 houses contour can be maximized without negative consequences for safety. A surcharge may be considered according to the use of environmental capacity. The use of environmental capacity is depending on the noise emissions of the aircraft and the time of the day when the aircraft is taking off or landing. In noise computations time penalty factors are used for different hours of the day. Both measures have been evaluated in their effects. A surcharge has been set on aircraft movements according the use of environmental capacity. The surcharge has been set in such a way, that – on average – the resulting fare increase for passengers will be Dfl. 50 per return ticket. However passengers flying in the noisiest aircraft are supposed to pay Dfl. 100, whereas passengers in the most noise friendly fleet are not supposed to pay any surcharge. Furthermore night flights do use considerable more environmental capacity, and therefore the surcharge on passenger movements is assumed to be Dfl. 250, when taking off or landing is in the night period. The charge is lower according to the time of day of taking off or landing. Furthermore some analysis have been done assuming peak spreading of the latest evening arrivals. These arrivals are not followed by departures on the same day, and consequently there is no connectivity loss to be expected if this peak is spreaded in such a way that the use of a second landing runway is not necessary. As mentioned before the use of this second runway does affect many residential areas, at the evening period when a noise penalty factor is also applied. Finally some analysis has been done assuming improvements in technical operational procedures. These improvements refer to landing and take-off procedures and to runway use conditions with respect to weather conditions. It is expected that these procedures may also help in reducing perceived noise levels. In table 4.3 the effects of the above mentioned types of measures are summarized. Evening peak spr. 48.3 1.8 533 18 to 20.000 P.M.
A surcharge on noise levels per aircraft results in 6 to 8 thousand less hindered houses or a reduction of approximately 30%. This charge particularly encourages airlines either to shift within their fleet to operate more noise friendly aircraft on Schiphol or to invest in a more modern fleet, of course depending on the surcharge set. Similar argumentation holds when surcharge is set on operations for different times of the day. Both types of measures have been set in such a way that the total shadow costs are similar. Both measures do not differ in effects for passenger, but when charges are set for night flights, we see cargo being hit more severely, as the cargo segment is using Schiphol relatively more in the night period than the passenger segment. Consequently also total employment effects are more negative in case of levies by time of day. Although also with these type of measures the shadow costs are high, we must conclude that the efficiency of these measures with respect to noise reduction is higher when compared to the regulatory restrictions. An adjustment of flight schedules, where the last evening arrival wave is levelled off results in a reduction of hindered houses of 3 to 5 thousand or 15% less. As the costs and traffic loss is expected to be low, if not zero, we must conclude that the efficiency of this measure is high. Finally also the effects of technical operational measures are considerable in the effects on noise reduction, although their implementation costs and efforts are high. It is generally felt that the effects of this type of measures are more promising on the longer term compared to the short term period observed in this analysis. The preceding findings show that separate implementation of the latter type of measures already leads to considerable reductions in noise levels. This may give an idea about the potential reductions when these measures are implemented as some kind of mix between them. With a combination of measures it is expected to be possible to achieve still a considerable growth to levels of more than 500.000 aircraft movement and still to respect the environmental limits that have been set. The three other optimization measures are however more promising. There are certainly economic costs involved, but on the other hand the efficiency with respect to noise reduction is considerable higher. With some kind of combinations of the measures mentioned, it is expected that growth level – respecting the environmental limits – may be reached beyond the slot control limits that have currently been set. At this moment the noise nuisance (noise contours) is the only environmental effect in the model. Other environmental effects like emissions are not yet addressed in the integral modelsystem, because these effects are not on the critical path of the capacity restrictions which Schiphol Airport is dealing with on the short term (= optimilization of the existing capacity at Schiphol until 2002). Although I have been board member of Aerius since November 1st 1997, this is my first president’s speech. In the past I have assisted Ronald and Jeroen writing theirs, but this is one of those moments that I realize that criticising someone else’s work is easier than doing it right yourself. One of the nice things of getting certain projects done, is that you can do it in a team: of course working alone gives you more certainty on the way how things are done, but the dynamism that can arise within a group of people can be very stimulating. The last couple of months, the group of active Aerius members has extended in two new committees: besides the unchanged Aerlines- and financial committees, we now have an activities committee and one for the studytrip to Hong Kong. Including the board, which now consists of five people, this adds up to 25 (!) part time participating Aerius enthousiasts!! I failed to introduce to you our fifth boardmember: Henriëtte Huisman. She has replaced Marcel as secretary, and he took up the post of external affairs: with his flambouyant style, this should be just his cup of tea. And for Henriëtte: she seems to be a very dedicated student with other extracurricular activities, but my impression is that especially busy people are great managers of time and can often arrange to do even more, which is a good thing, because there is a lot to do within the Aerius organization. For over a year now, the Aerius board – stimulated by the Advisory board – has been planning and acting on the changed circumstances of Aerius. This has resulted in a ‘Business plan’ on which you can read more in the next issue of ‘Aerlines.’ As is common in strategic marketing, a SWOT analysis was the basis of the exercise: it showed there is a good market for what Aerius is, and there is also demand from the aviation-industry to become more: something like a knowledge-centre. Keeping in mind that Aerius is (an association, so) a not-for-profit organization, the Aerius board now follows the policy rules, that when our benefits do exceed our costs, these will be invested in the further development of Aerius as a multi-disciplinary knowledge centre. Not only is this a further commitment to the statutes of Aerius and the goals she persues, this is also one of the best ways to ensure her future, because we can then count on the support from the aviation industry. In the short term, this means that the board will actively seek more sponsoring from companies and will try to forge alliances with parties that will bring Aerius closer to its new identity. This does not mean that we will develop profoundly different kind of activities for our members and sponsors: the internships, the evening-lectures, the excursions and study-trips together with research assignments, and of course the ‘Aerlines,’ will continue to be engaged, only with similar acceleration as in ‘the old days.’ As an economist (to be) I am quite aware of the concept ‘decreasing returns to scale,’ but I hope to omit the decreasing part by setting a new (grander) scale… ? Whoever chooses an aircraft as a means of transportation usually wants to save time. This should be true for both the transportation of passengers and cargo (baggage or goods) alike. Delay or non-performance of carriage, therefore, are quite unpleasant events for both the passenger and the consignor, and may cause considerable damage. In modern day aviation, as well as in any other period of aviation an unchanged and often recurring factor remains the delay of aircraft. It not only happens to passengers but also to goods or baggage and it accounts for an always repeating discussion between the carrier, the party taking care of the transport, and the injured party, this being either the passenger, the consignor or the consignee of goods. Since the early days of aviation law, law-makers all over the world have dealt with the problem. The ‘bible’ of aviation law, the Warsaw Convention signed in October 1929, has an article dedicated to delay. This article 19 states: “The carrier shall be liable for damage occasioned by delay in the transportation by air of passengers, baggage or goods.” Not surprisingly this article has re-mained unchanged since then. Because of Its open wording the article has obtained much of its meaning through jurisprudence, explanations given to the wording of the article by courts. Since the Warsaw Convention is an international treaty, courts’ opinions are as spread as the countries having to deal with the interpretation of the Convention’s articles. Where delay is governed by the Convention, the applicable national law on the other hand, governs non-performance of carriage. As a contract of carriage should be seen as a result-related agreement -contrary to an effort-related agreement- in which the achievement of the result agreed upon is binding, non-achievement of this result can be interpreted as a failure to perform according to the conditions of the contract, thus leading to a so-called wrongful act. The Warsaw Convention does not however tell when a delay in the carriage occurs, but is limited to the regulation that if a delay occurs during the car-riage by air, the carrier will be liable for the resulting damage. Delay may be defined as the untimely fulfilment of the contract of carriage by air, meaning that the time usually needed for similar transportation under the same conditions is ‘substantially exceeded’. The legal explanation of delay then reads that a carrier is liable for the delay due to any loss of the airwaybill or customs documents during the transportation by air, provided that the loss of these documents can be blamed on him, and the loss of these documents results in a delay in clearing customs and in a profit loss to the consignor because of its inability to make timely delivery of the shipment. If the consignor takes care of the shipping, an injured consignee will always hold him responsible for any shortcoming in observing the terms of the agreement, simply because the consignor is his contracting partner. To make these definitions workable a practical elaboration must be found. A possible solution given by IATA stipu-lated that carriage not exceeding the flight times set out in a schedule by more than fifty percent were to be regarded as punctual. While this could be acceptable on short distances, on long distances it is out of the question. On a journey lasting ten hours, a five hour delay would then be acceptable?! Therefore, looking for a fixed standard, any standard, is not practical. Another solution is to use the following scale as as-sistance; in some commentaries on the Warsaw Convention it has been accepted as a reasonable solution. With a scheduled flying time of 1 hour, a 15 minute delay is still acceptable; 25 to 30 minutes is acceptable with a flying time of 2 to 4 hours; a 40-45 minute delay can be allowed when the flying time is between 5 and 8 hours and exceeding this flying time one should take a 10 percent delay into account as reasonable. Any reasonable person will agree to the fact that a delay can never be fully ruled out and such a person will allow greater divergences from the schedule for long distance flights than for short distance flights anyway. With long dis-tances one may also face the fact that several stops on the way to refuel, clean the aircraft or for catering purposes can cause one major delay in the end. This leads to yet another definition of delay saying that whenever the period of time a reasonable passenger or consignor takes into account is exceeded unreasonably, a carriage may be considered to be delayed. It is the carrier who gives its customers certain expectations when it comes to the duration of a flight and flight schedules are issued or advertisements promise the public punctuality. The carrier, as a more experienced party, knows the average duration of the particular flights he offers, so it is his task to offer times that are feasible. So a carrier issuing a flight schedule should take responsibility for any fail-ure to meet the times indicated therein. If flight schedules have not been issued or no fixed time has been agreed upon, one may take the average journey time of other carriers on the same route as an indication to calculate the time needed for the completion of the journey. A clause in the General Conditions of Carriage stating that the carriage is not bound to take place on a particular date can only mean that the carriage was not to be performed within a fixed or determinable period of time. Nevertheless the car-riage must be performed within a reasonable period of time. And if the airwaybill does not provide a clear date on which the cargo should be carried, the carrier is only compelled to carry the cargo as soon as pos-sible. The consignor may ex-pect transportation to start promptly or at least within a reasonable time, even if no specific time has been agreed on. When reading the accumulations and build-ups of conditions carriers, being the stronger party consumers de-pend upon, come up with to get round a claim for delay, one must bear in mind that passen-gers and consignors choose air carriage as the fastest means of transport, and that they must pay several times the amount that any other means of transport would cost them. Therefore the time advantage will usually be the decisive factor and a restrictive interpretation by courts of law of this so-called small print seems appro-priate. When reading the wording of article 19 of the Convention only delay ‘’in the transporta-tion by air” can lead to liability. In article 18(2) of the Convention this period is defined as “…the period during which the baggage or goods are in charge of the carrier, whether in an airport or on board an aircraft, or, in case of landing outside an airport, in any place whatsoever.” Outside this pe-riod the carrier can only be liable under the law of the country. Two criteria are mentioned here: first, the place where the goods are and second the fact that the carrier is in charge. The Convention thus defines the period of liability differently from most other fields of transport law where the carrier’s liability extends from the time it accepts the cargo until the time of delivery. This would strictly mean that any delay caused outside the period of time defined by the ‘actual’ carriage, would not be carrier’s responsibility. Another opinion on this matter relates to the grammatical in-terpretation of the term “in charge”. It does not only mean ‘having custody of an object ’ belonging to someone else, but can also imply the legal duty to protect and exercise due care and supervision in respect of the cargo, thus clearly defining the period of time during which the carrier is responsible for the goods, because the consignor and consignee cannot dispose of them. Instead of taking the exact meaning of the article, one can also look at the pur-pose of it; as long as the cargo is within carrier’s sphere of control so that he is able to prevent the cargo from being damaged or lost, he is liable… This goes beyond the period of time carrier is merely a holder of the goods. This latter opinion is also confirmed by the meaning usually given to the term transportation. The term transportation can best be explained when the action is analysed in three steps: first, the acceptance of the goods, then the actual transport and finally the delivery. Acceptance will define the act of taking delivery by the carrier either to take possession or custody of the cargo for the purpose of transportation. The actual transport by air com-mences when the carrier has accepted the goods and thereby taken charge of them. If cargo is delivered to the carrier for storage in its bonded ware-house at the airport, the carrier is considered to have taken the cargo into his charge and there-fore will be liable for loss. Even before the actual carriage takes place. Any intermediate stops or any handling by some-one other than the carrier does not cancel any possible liabil-ity. This is even demonstrated by another article of the War-saw Convention, being article 25, reading that a carrier shall not be entitled to avail himself if the damage is caused by any agent of the carrier acting within the scope of his employment. The question whether or not the carrier and its -contracted- agents have taken all the precautions, necessary to prevent the damages from the delay, will first be addressed after it is determined that a delay has occurred during carriage. The act of delivery is generally defined as the operation by which the air carrier gives up the charge of the goods, with the implied or expressed consent of the person entitled to delivery. This shows that the mere arrival of the cargo at the place of destination does not constitute delivery, neither does the unloading of the aircraft. Liability also extends to the period during which the carrier stores the cargo until the act of delivery to the consignee has taken place. It follows from this that the contract of carriage by air covers the whole period during which the cargo is in the charge of the carrier and carrier’s contractual obligations are fulfilled when the cargo is handed over to the consignee. If a consignee refuses to take delivery of the cargo the liabil-ity does not end, but the con-signee is then obliged to give further instructions, under penalty of loss of any further claims. As said before the convention does not define the term ‘de-lay’. Case law and legal authors commonly define it as ‘the untimely arrival at the place of destination’. A speci-fication of the term ‘arrival’ is the time of disembarking -when applying to passengers- because from this time on one can determine whether or not the passenger has time enough to catch a connecting flight; in the case of baggage or goods the time of delivery is qualifying. Where baggage is concerned delay occurs where the baggage is not delivered within the period of time that is normally needed for it to be taken from the aircraft to the baggage claim area. Any delay at de-parture time is not enough to hold carrier liable for any dam-ages if the time of arrival is met punctually. But at what point can one suppose that arrival was untimely? A possibility to find an answer to this question is to look at the terms of the transport agreement, since the agreement itself may state any fixed times. Accompanying the agreement, as supplements are the ticket or the airwaybill, as proof of the contract. Any other documents indicating any agreed times of departure or arrival can also be binding. The burden of proving any de-lay lies with the injured party, the less protected weaker party, who must also proof what would have been a reasonable time. This burden can be stated as a Condition of Carriage and could read as follows: “Except as the Warsaw Treaty or other applicable law may otherwise require, carrier is not liable to the shipper or to any other per-son for any damage, delay or loss of whatsoever nature aris-ing out of or in connection with the carriage of goods or other services performed by Carrier incidental thereto, unless such damage, delay or loss is proved to have been caused by the negligence or wilful fault of the Carrier against whom the claim is made, and there has been no contributory negligence of the shipper, consignee or other claimant. The proving party may refer to all possible means of proof, like flight schedules, airway-bills or any other documents. Then this party must demon-strate that this reasonable time has been exceeded signifi-cantly. The air carrier must then rebut this presumption of delay. The kind of damage qualified for compensation is not men-tioned by the Convention. So either the national law which the contracting parties may have agreed upon or the law applied in accordance with the rules of the conflict of laws. A typical American judgement granted compensation for in-convenience and mental suf-fering because as a result of delayed delivery the plaintiffs had not been able to dress properly for a reception. Once, even a case of illness which was said to be have been caused by waiting for the de-layed departure, was accepted as damage under article 19 of the Convention. Compensation for loss of earnings on the other hand is not always granted. In the case of so called ‘moral damage’ certain amounts of money have been granted, although setting an exact amount is difficult. Sustaining the liability for damage occasioned by the de-lay must be viewed as a so called ‘conditio sine qua non’: without the delay the damage would not have occurred. A judgement in this context held a carrier liable for delay that had been caused by an unnec-essary division of the cargo with transportation of the sepa-rate parts. The division had been the cause of the delay of the second cargo load. ENAC, with its 50 years may be not as old as NLC (since 1937!) or even NLS (since 1927!) oldest pilot training centre in Europe, but still with half a century there is more than enough reason to celebrate: ENAC 50-ième anniversaire! Toulouse is a compact town, and was so in roman times already. It is situated just north of the Pyrenees, halfway between the Atlantic and the Mediterranean. There are more than 100,000 students in town, nurturing themselves at the many Universities, Ecole Nationales etc. In the Complexe Scientifique de Rangeuil, many of those Institutes and research centres are located: among them is ENAC, the Ecole Nationale de l’Aviation Civile. ENAC is part of the typical French system of Ecole Nationales, characterized by meritocracy in this sense that admission to these schools is based on highly competitive examinations, the so-called ‘concours’. Thus, la douce France creates its elite very consciously: at the same time this is a stumbling block to the internationalization of this part of the French educational system, because as a foreigner you practically have no chance of reaching the required levels. The school offers basic training in civil aviation at bachelor’s and at master’s levels, as well as a broad range of refresher courses, corporate training short courses on new developments targeting professionals in the field. In the basic training programmes for aircraft engineering, aircraft design and operation, aviation technician, air traffic controller and aircraft dispatcher, ENAC admits every year 300 students at maximum, half of them being in ATC. In the five Masters’ programmes, also taught in French with the exception of the new Master in Satellite-based Communication & Navigation, only 15 students can be admitted each year. 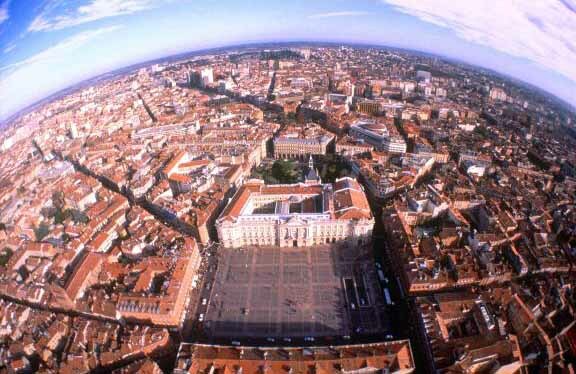 Toulouse calls itself “capitale aéronautique” with good right. In addition to the famous aircraft builders Airbus and ATR, space industries like Matra, Lagardere (Ariane rockets), there are approx. 200 aerospace-related industries in the area. A plethora of research & development organizations, training institutes and industries make up the picture of Toulouse as an aviation brainpower centre, not unlike Sillycon Valley for the computer industry. Of course, it would not be in the French tradition of the “rayonnement de la culture francaise” if they would not only claim to be the capitale aéronautique of France, but at least the Seattle of Europe. Overseeing the Toulouse aviation scene, as I had the opportunity to over the last two visits, I can assure you that the TLS influence is not limited to the hexagone and Dom-Tom, on the contrary it goes more and more global every year. Airbus having the lead over Boeing in market-share, is an illustration of the effectivity of the European aviation strategy. The Journées d’Enseignement de Telecommunication 1998(JET’98) were devoted to satellite communication. Technologically already available satellite systems not yet applied in aviation other than experimentally will change air traffic dramatically early next century. After a masterly introduction to the basis of satellite communication and navigation by professor Gerard Maral, from the Ecole Nationale Superieure de Telecommunications (ENST), we were immersed in the acronymical vernacular centering around GLOBALSTAR, IRIS, SKYPLEX, SKYBRIDGE, EGNOS, WAAS, STENTOR, WEST, WORLDSPACE, CNS/ATM, EATCHIP, OACI, CNSS, MODE-S, APALS, TCAS etc. I will not even try to begin to clarify this aviation poetry, because as a curriculum-planner I only know too well when it needs a content expert. For further reading I can wholeheartedly recommend Maral G & Bousquet M, Satellite Communications System, Wiley, 1998, 732 pages). Do keep in mind however, that FANS means Future Air Navigation Systems. Here, again, it is the well-known game of: “who sets the norm, sells!” The card played in Toulouse is called “AIM-FANS: Airbus Interoperable Modular Future Air Navigation System”. It was remarkable that the participation in this high level conference was limited to the French speaking part of the world: no foreign speakers at all! During the days of the JET ’98 Conference, I had the opportunity to link up with some of the other institutes, a/o the Airbus Training Centre and the Institut Aéronautique et Spatiale (IAS). At present, Seattle seems to be closer to Amsterdam than Toulouse. Fokker has almost completely missed out on the Airbus project, focussing then on McDonnell-Douglas for global co-operation. Dutch presence by Fokker/ Stork is nevertheless visible on the Ariane project, however for 3% only. Nowadays, it does not count anymore whether you are based in Hoogeveen and speak Dutch or in Irkoetsk and speak Russian, as long as you bring something good to the air, it will sell if you succeed to communicate your message interculturally correct, or have the blunt power. Toulouse has a hospitable, but congested city centre, where we discovered as a hotel Le Père Léon for FF180 located between metro Esquirol and the banks of the Garonne; as a not-to-be-missed cafe we can recommend Le Père Louis, maison fondée en 1889. Their ‘muscats’ and ‘tariquets’ deserve fame and “degustation intensive”. The TLS airport Blagnac is a fast grower currently featuring a 3 times a day KLM-service to Amsterdam, and a 4 times-a-day to Brussels by Sabena. New is regular service to Malpensa. Blagnac is the home of Airbus, most visibly so by the range of Beluga’s displayed at the industry apron. The Beluga’s, successor of the GUPPY, commute to Hamburg to bring in aircraft fuselage from the Airbus plant in Germany. These strange aircraft with the appearance of a pregnant whale with a dolphin nose, are especially designed for heavy lift operations and are one more very convincing illustration of the necessity and usefulness of European co-operation in civil aviation. We proudly present you the latest issue of Aerlines on line. From now on Aerlines on line will appear within a few weeks after our hard copy issue. As you will notice, this on line version is in full colours. It took us quite some time and effort to edit and make this issue, of which we hope it will comply with your high expectations. We reserved a great part of this issue for a contribution by the RLD (the Civil Aviation Department of the Netherlands) on the environmental capacity at Amsterdam Airport Schiphol and ways to increase it; a topic very much discussed in the last few years and still being discussed nowadays. We are convinced that the publication of this article might be interesting reading in anticipation of the lecture by one of the authors Mr. Jan Veldhuis. Much of what we publish makes me think of own experiences while travelling. For instance, our article “Substantially Exceeded” on the liability in case of delays reminded me of what occurred last year on a trip to Aruba. On the way back, we sat for nearly five hours in the aircraft. After many departure attempts, we finally heard that because of a defective engine we would not be able to take off to Amsterdam. Even though I felt frustrated at that moment, I have to say that the airline reacted in a very accurate and friendly way, giving the passengers the feeling they were taken serious as human beings. I stayed in a wonderful hotel. There were no complaints, simply because the employees realized that the airline business is a human business. Last Christmas, when I went back to Aruba again, regretfully the same airline performed poorly. Although I understand that an airline wants to make as much money as possible, I cannot understand that upon my request one day before departure, the carrier said it would charge me twice the fare if I wished to catch a direct non-stop flight instead of the connecting flights I was booked on. At last, the airline refused to change my flight without charging double the fare, the direct flight left with plenty of empty seats and I made two stops and travelled six hour extra to reach my destination. (I had not heard Mr van Reijen’s story yet!) Copyright regulations prevent us to publish this article on line. Finally, I wish to extend an invitation to send in your contribution to our Aerlines. We believe that you can help us broaden our coverage on different aviation themes. Whether you are a student or a professional, you will most probably have a story to tell us. Let’s keep the Aerlines a people’s business. I wish you much reading pleasure. Enter your email address to follow Aerlines Magazine and receive notifications of new posts by email.